Table 1. Socioeconomic status: sociocultural and family variables. Table 2. Binary logistic regression model results (n=833). To describe the drivers associated with HPV vaccination in adolescent girls and their parent's opinion on the vaccine. We conducted an observational and cross-sectional study on adolescent girls and their parents in Valencia (Spain), between September 2011 and June 2012. A consultation was made at a random sample of schools of the 14-year-old girls that should have received the vaccine in the free vaccination programme. We ran a personal survey on knowledge and attitudes regarding HPV infection and the vaccine. A binary logistic regression model was performed to determine which factors were most associated with vaccination. The survey was run on a binomial of 1,278 girls/mothers in 31 schools, to which 833 girls and their mothers responded (64.0%). The factors associated with vaccination were: country of origin of the families (adjusted OR [aOR]: 0.49; 95% confidence interval [95%CI]: 0.24-0.98), civil status of the parents (aOR: 0.33; 95%CI: 0.13-0.81), knowledge/beliefs about the vaccine when the source of information was the nurse (aOR: 1.83; 95%CI: 1.01-3.35), information source about the vaccine (aOR: 2.32; 95%CI: 1.37-3.92), preventive health centre visits (aOR: 2.1; 95%CI: 1.10-4.07), and nurse advice (aOR: 6.6; 95%CI: 3.19-13.56). The main factor associated with HPV vaccination was the advice of health professionals. Therefore, the most effective interventions to improve vaccination coverage should focus on health professionals. Describir qué factores se asocian a la vacunación contra el virus del papiloma humano (VPH) en adolescentes y la opinión de sus padres/madres sobre dicha vacuna. Se llevó a cabo un estudio observacional y transversal en chicas adolescentes y sus progenitores en Valencia (España), entre septiembre de 2011 y junio de 2012. Se realizaron consultas a las niñas de 14 años que tendrían que haber sido vacunadas dentro del programa de vacunación gratuita, en una muestra aleatoria de colegios. Se preguntó sobre conocimientos y actitud respecto a la infección por el VPH y la vacuna, mediante entrevista personal. Se llevó a cabo un modelo de regresión logística binaria para determinar qué factores estaban más asociados con la vacunación. Se entrevistó a 1278 binomios chica/madre, con una tasa de respuesta del 64,0% (833). Los factores asociados a la vacunación fueron el país de origen de las familias (odds ratio ajustada [ORa]: 0,49; intervalo de confianza del 95% [IC95%]: 0,24-0,98), el estado civil de los progenitores (ORa: 0,33; IC95%: 0,13-0,81), los conocimientos/creencias sobre la vacuna cuando la principal fuente de información fue la enfermera (ORa: 1,83; IC95%: 1,01-3,35), la fuente de información sobre la vacuna (ORa: 2,32; IC95%: 1,37-3,92), las visitas preventivas al centro de salud (ORa: 2,12; IC95%: 1,10-4,07) y el consejo de la enfermera (ORa: 6,57; IC95%: 3,19-13,56). El principal factor asociado a la vacuna del VPH fue el consejo del personal sanitario, por lo que las intervenciones para aumentar la cobertura vacunal deben centrarse en este colectivo. Prior to the vaccination program, literature suggested that ethnicity, socio-demographic and psychosocial factors could play a decisive role in vaccination.8 Research after the vaccination programs were launched6,8–14 confirmed that age, perceived access to vaccination, cultural norms, religion, knowledge about the severity of the disease and risk perception, directly influenced the acceptance of the vaccine.1,15 These factors, together with the usual acceptance difficulties that any vaccine may have, are a challenge to achieve better vaccination coverage rates. This study was designed to determine the drivers associated with HPV vaccination in the region of Valencia (Spain), and to ascertain whether there was a major determining factor in order to carry out more effective interventions to improve vaccination rates. We conducted an observational, and cross-sectional study in adolescent girls and their parents of Valencia (Spain) between September 2011 and June 2012. 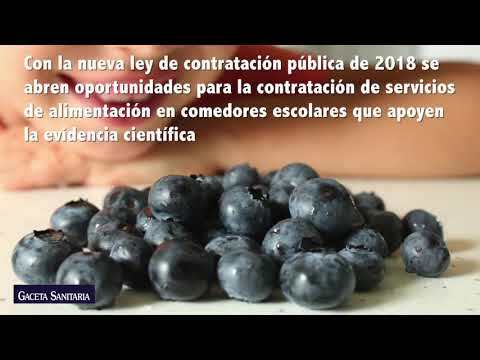 A randomized and stratified selection of schools in the region of Valencia was made, according to funding (public, private or charter school) and geographic location (rural, semirural or urban). This cohort was in the post-vaccination school year and should have received the vaccine during the previous year. We included their mothers (otherwise, fathers or legal guardians) since, in most cases, they had the last word in the decision to vaccinate. We estimated the prevalence of 70% population adolescent girls vaccinated. We assumed a population of 9,506, with a Type I error (alpha risk) of 0.05, an accuracy of 5% and a dropout rate of 50%. We therefore calculated a sample size of 1,230 girls and respective mothers for our study. Sample size was undertaken using Epidat 3.1. An envelope with a questionnaire, an information sheet and a parental consent form was given to each girl, which was later returned to the schools. After checking the consent form, we interviewed the girls at the school to guarantee the correct development and understanding of each part of the questionnaire. Before data collection, the research team had carried out a pilot study in the school of a low-income area to assess comprehension difficulties of the questionnaire, as well as the correct data collection procedure. All families that expressed their refuse to participate were excluded of the study. Socio-demographic characteristics included were country of origin, if the girls lived with their parents, parents’ occupation, and religion, if any. Health status and use of health resources included were about how many times they saw their primary care physician or nurse every year, as well as if they suffered from any diseases or were undergoing any tests (gynaecology related or in general). We also included their, as well as their friends’, attitudes towards vaccines in general, and the advice they received from their community nurse or doctor about vaccination. Regarding drug use and risk perception included were about consumption of alcohol, tobacco, cannabis, 3,4-methylenedioxymethamphetamine (MDMA) or cocaine, as well as the frequency of use. They were also asked about how concerned they were regarding issues like traffic accidents, domestic or work-related accidents, cancer, depression, self-esteem problems, sexual transmitted diseases, or new epidemics, among others. Concerning their knowledge about HPV and its vaccine, we inquired if they knew where the HPV infection produces cancer, as well as how it was transmitted, ways to avoid it and if they knew about any relatives who had suffered from cervical cancer or if they had been vaccinated. We also asked about their risk perception and how they were informed about HPV and its vaccine, and whether they had discussed their doubts with their friends. Finally, they were asked whether they received the vaccine (or, when asking the mothers, whether their daughters did), whose decision it was, and their reasons for not receiving it (if non-vaccinated). We considered those cases valid where mothers and daughters replied and had consent forms signed. To avoid response bias and determine the variable ‘vaccination status’ with reliability, we checked the mother and daughter's answers against the Nominal Vaccine Register (NVR) of the Public Health Department, where all the doses administered in the Regional Health System are registered (date, batch, injection site, name of healthcare professional and primary health centre). We found no discrepancy in the ‘Vaccination Status’. We considered a ‘vaccination status’ to be positive when three doses were administered and registered in the NVR, even if mothers and daughters’ answers did not always coincide. In contrast, a ‘vaccination status’ was negative when the NVR and the mothers, or when the NVR and the girls, both stated that the three doses of the vaccine had not been administered; or when the mothers, daughters and the NVR coincided in not having the three doses. An uncertain ‘vaccination status’ was that which did not respond to any of the above and those cases were excluded from the multivariate study. Descriptive statistics data are presented as means and standard deviation for continuous variables. The multivariate analysis, first analysing each variable with the vaccination status individually, and later using a binary logistic regression to find the association of each variable with the vaccination status. For the selection of variables of the predictive model we used significance, suitability and opportunity criteria of each of them, following a logistic regression, adjusting the baseline parameters and without forcing the order of the selected variables. Confidence intervals (CI) were calculated for a confidence level of 95%, and p <0.05 was considered statistically significant. Statistical analysis was undertaken using SPSS (version 22; SPSS, Inc. an IBM Company, Chicago, Illinois, USA). The study was conducted according to the principles included in the Helsinki Declaration. The study was approved by the Committee on Research - Ethics Committee of the Conselleria d’Educació (Generalitat Valenciana) in May 2011. All participants were provided full information to consider on the nature of the study, voluntary participation, and confidentiality. A questionnaire was distributed among 1,278 girls and their mothers, and we obtained 833 adequate answers (64.5%; 95%CI: 61.9-67.1). We chose a sample of 37 schools but only 31 participated (83.8%; 95%CI: 69.9-97.7), either because they were not given authorization by the parent school governing body (n=4) or due to school program issues (n=2). From the descriptive analysis of the girls’ socio-demographic and family profile (Table 1), we found that 86.1% (95%CI: 83.7-84.8) of the girls were born in Spain, 79% (95%CI: 76.2-81.8) lived with both parents and 85.5% (95%CI: 83.2-88.0) had siblings. Regarding religion, 76.5% mothers and 66.4% daughters were believers, while 46.5% and 30%, respectively, were practicing individuals. Socioeconomic status: sociocultural and family variables. CC: community college; 95%CI: 95% confidence interval; ML: manual labor; V/T: voc/tech inst. Regarding the multivariate analysis (Table 2), from 833 cases, 73 (8.7%; 95%CI: 6.8-10.6) were excluded due to uncertain vaccination status. A total of 566 cases (74.5%; 95%CI: 71.4-77.6) were positive vaccinations and 194 (25.5%; 95%CI: 22.4-28.6) were negative vaccinations. Binary logistic regression model results (n=833). aOR: adjusted odds ratio; 95%CI: 95% confidence interval. Sixty-five variables were selected from a total of 155 to be included in the logistic regression model (40 variables from the girls’ questionnaire and 25 from the mothers’). The final logistic regression model included 84.5% of the cases, with 0.4 Cox & Snell and, 0.6 Nagelkerke coefficients. The success rate in the model prediction in vaccinated cases was 92.1% and 74.6% in non-vaccinated cases (global 87.9%). After controlling for the covariates included, the multivariate model showed that the main factors associated with the HPV vaccination were the origin of the families (adjusted odds ratio [aOR]: 0.49; p=0.04), the civil status of the parents (aOR: 0.33; p=0.01), knowledge/beliefs about the vaccine when the source of information was the nurse (aOR: 1.83; p=0.048), the information source about the vaccine (aOR: 2.32; p=0.002), preventive healthcare centre visits (aOR: 2.1; p=0.02) and nurse advice (aOR: 6.6; p <0.001). This was one of the most comprehensive randomized study carried out in Spain. It had a large sample size and a data collection period of eighteen consecutive months. It focused on the drivers associated with HPV vaccination in order to carry out more effective interventions to improve vaccination rates. We observed that 74.5% of girls were vaccinated, with a vaccination rate slightly higher than that published by the Public Health Department that year (66.5%), probably because the profile of the analysed cases which did not answer the questionnaire or the profile of the excluded cases, responded to a slightly less vaccinated group than that included in the analysis. However, when comparing the resulting sample with the socio-demographic, cultural and family profile of the general population6 we can observe similar profiles. The sampling bias is thus compensated and it is considered representative. Country of origin of the mothers: the mothers’ country of origin as a determining factor for vaccination, has been associated, in the literature, with the difference between native groups versus immigrant groups, possibly due to cultural beliefs.16 The same occurs with cervical screening, since immigrant women do not undergo as many smear tests as native women.17 One may also associate these differences with the socioeconomic status of immigrant families and not just with their cultural beliefs.18 However, this is not the case here as there is free access to the HPV vaccine in Valencia. Therefore, we consider the difference to be due to the existence of a cultural barrier. Knowledge about the vaccine from information leaflets: it was generally stated that most girls and mothers who had some information about HPV vaccine had seen it in leaflets issued by the local health authorities.14,19,20 It seems reasonable to affirm that the information campaign carried out among the target population was effective. Girls’ perception of the vaccine: the girls’ health habits were the same as those of the general population, as seen in the Health Survey of the Valencian region of that year (2011).22 It needs to be emphasized that girls who were less prone to drinking alcohol, or never tried it, had a lower vaccination rate than the rest. Perhaps, girls with a cautious attitude towards alcohol had a lower risk perception about HPV infection. We can consider that a more conservative profile was linked to less risky actions, and mothers and daughters had an overall lower risk perception. Use of healthcare system resources: preventive visit to their community nurse: as seen in different studies,23,24,26 girls who visited their community nurse several times in the last year had a higher vaccination rate than those who did not go to their healthcare centre. Of all the factors associated with vaccination, advice from the nurse together with their physician's advice was the main determining driver. Therefore, it is essential that healthcare professionals are adequately trained to inform patients about HPV infection and vaccination. Interventions aimed at increasing vaccine coverage should be focused on raising nurses’ and doctors’ HPV awareness in order to improve the health of adolescent girls. HPV vaccine coverage is an important public health concern and understanding the reasons for accepting or rejecting vaccination is essential for increasing compliance. The advice from the nurse and physician is the main determining driver associated with VPH vaccination. To improve the HPV vaccine coverage in adolescent girls it is essential that healthcare staff are adequately trained when it comes to HPV infection and vaccination. All authors were involved in writing the manuscript and approve of its final version. Drivers and barriers to acceptance of human-papillomavirus vaccination among young women: a qualitative and quantitative study. J. Ladner, M.H. Besson, M. Rodrigues, et al. Performance of 21 HPV vaccination programs implemented in low and middle-income countries, 2009-2013. H.W. Chesson, D.U. Ekwueme, M. Saraiya, et al. Cost-effectiveness of human papillomavirus vaccination in the United States. Health and economic implications of HPV vaccination in the United States. M. Drolet, M.C. Boily, N. Van de Velde, et al. Vaccinating girls and boys with different human papillomavirus vaccines: can it optimise population-level effectiveness?. P. Navarro-Illana, J. Díez-Domingo, E. Navarro-Illana, et al. Knowledge and attitudes of Spanish adolescent girls towards human papillomavirus infection: where to intervene to improve vaccination coverage. H.L. Bowyera, L.V. Marlowa, S. Hibbittsb, et al. Knowledge and awareness of HPV and the HPV vaccine among young women in the first routinely vaccinated cohort in England. P.L. Reiter, N.T. Brewer, S.L. Gottlieb, et al. Parents’ health beliefs and HPV vaccination of their adolescent daughters. S.L. Gottlieb, N.T. Brewer, M.R. Sternberg, et al. K. Conroy, S.L. Rosenthal, G.D. Zimet, et al. Human papillomavirus vaccine uptake, predictors of vaccination, and self-reported barriers to vaccination. N. Jain, G.L. Euler, A. Shefer, et al. Human papillomavirus (HPV) awareness and vaccination initiation among women in the United States, National Immunization Survey-Adult 2007. S.L. Rosenthal, T.W. Weiss, G.D. Zimet, et al. Predictors of HPV vaccine uptake among women aged 19-26: importance of a physician's recommendation. A.F. Dempsey, L.M. Abraham, V. Dalton, et al. Understanding the reasons why mothers do or do not have their adolescent daughters vaccinated against human papillomavirus. R. Caskey, S.T. Lindau, Alexander G.C.. Knowledge and early adoption of the HPV vaccine among girls and young women: results of a national survey. HPV vaccine acceptance, utilization and expected impacts in the U.S. Where are we now?. S.K. Kolar, C. Wheldon, N.D. Hernandez, et al. Human papillomavirus vaccine knowledge and attitudes, preventative health behaviors, and medical mistrust among a racially and ethnically diverse sample of college women. Rate of cervical cancer screening associated with immigration status and number of years since immigration in Ontario, Canada. B.A. Glenn, J. Tsui, R. Singhal, et al. Factors associated with HPV awareness among mothers of low-income ethnic minority adolescent girls in Los Angeles. Acceptance of human papillomavirus vaccination among Californian parents of daughters: a representative statewide analysis. K. Trim, N. Nagji, L. Elit, et al. Parental knowledge, attitudes, and behaviours towards human papillomavirus vaccination for their children: a systematic review from 2001 to 2011. M. Kemberling, J. Hagan, J. Leston, et al. Alaska native adolescent views on cervical cancer, the human papillomavirus (HPV), genital warts and the quadrivalent HPV vaccine. J.A. Kahn, G.D. Zimet, D.I. Bernstein, et al. Pediatricians’ intention to administer human papillomavirus vaccine: the role of practice characteristics, knowledge, and attitudes. B.L. Rosen, D. Ashwood, G.B. Richardson. School nurses’ professional practice in the HPV vaccine decision-making process. Parents, adolescents, children and the human papillomavirus vaccine: a review. L.M. Kester, G.D. Zimet, J.D. Fortenberry, et al. A national study of HPV vaccination of adolescent girls: rates, predictors, and reasons for non-vaccination. Attitudes toward HPV vaccination: different points of view. R. Bastani, B.A. Glenn, J. Tsui, et al. Understanding suboptimal human papillomavirus vaccine uptake among ethnic minority girls.